For the 48 million Americans with hearing loss, there are a few choices for treatment. Once you’ve decided to seek treatment for the changes in your hearing, you may choose a specialist with a private practice (which provides personalized care at a high cost) or a big box hearing aid dispensary (which provides affordable hearing aids with less attention to patient care). By having a 100% mobile service, Hearing At Home dramatically lowers our overhead costs and passes the savings on to the client. We offer premium, first generation hearing devices for thousands of dollars less than typical private practices. As a result, Hearing At Home clients get the best of both worlds. 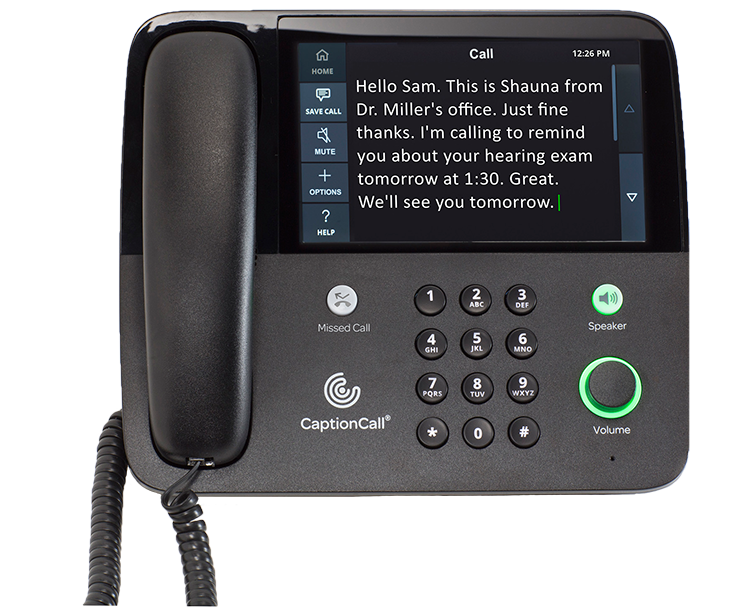 Big box pricing, premium first generation hearing devices and the highest level of care and expertise they deserve! And, patients never have to leave the comforts of home. It takes an average of seven years from the time a person notices changes in their hearing until they decide to seek treatment. Leaving hearing loss untreated comes with many avoidable consequences. Studies have found that untreated hearing loss affects our brain’s cognitive function, tiring it out, and increasing the risk of dementia. 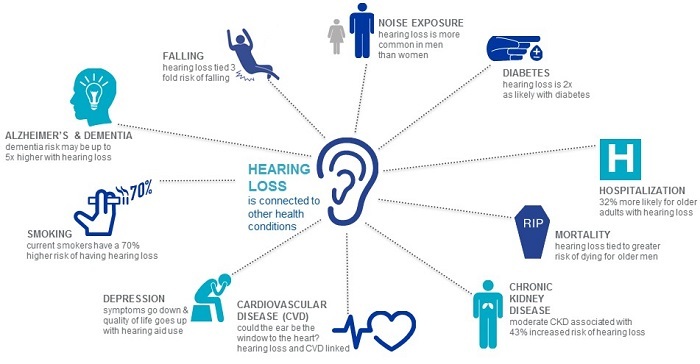 Additionally, people with untreated hearing loss have increased risks of accidents, falls, and hospitalizations. Hearing tests are simple, painless procedures that assess your ear health and determine your hearing ability. Our hearing professional will first examine your ears with an otoscope, which allows them to see your ear canal and eardrum. If there is earwax blockage or injury to the eardrum, this may be a reason for changes in hearing. Following the physical examination, we will administer a series of simple tests which will allows us to determine the ability of your hearing. You may be asked to repeat a series of words and also signal when you hear sounds. After the hearing test, we will then review your hearing ability with the audiogram, which records your hearing ability by ear. From these results, we will talk about hearing solutions available to you. Hearing aids perform great feats, despite their small size. They are sophisticated electronic devices, not unlike a smartphone, which may need repair from time to time. 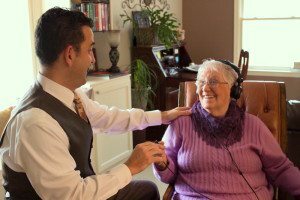 Hearing At Home offers hearing aid repair – in the comfort of your home. For many people, hearing aids become a lifeline that connects them to the world. Leaving the house without a hearing aid may be daunting. If your hearing aids are not functioning properly, give us a call. We’ll drop in to assess the hearing aid. If we are able to fix them on the spot, we’ll get them up and running as soon as possible. We are exposed to many different noises each day, in our occupations and in our leisure time. From music lovers to sports fans to construction workers, we offer custom ear protection to ensure hearing health. The exposure to loud sounds over long periods of time leads to noise-induced hearing loss. Hearing At Home will create custom ear protection molded from your ears, to give the most secure fit. Custom ear protection filters out the dangerous decibels while still allowing you to hear the sounds you prefer. We also offer musician ear plugs, which are designed specifically for people who play music or work in live music venues. 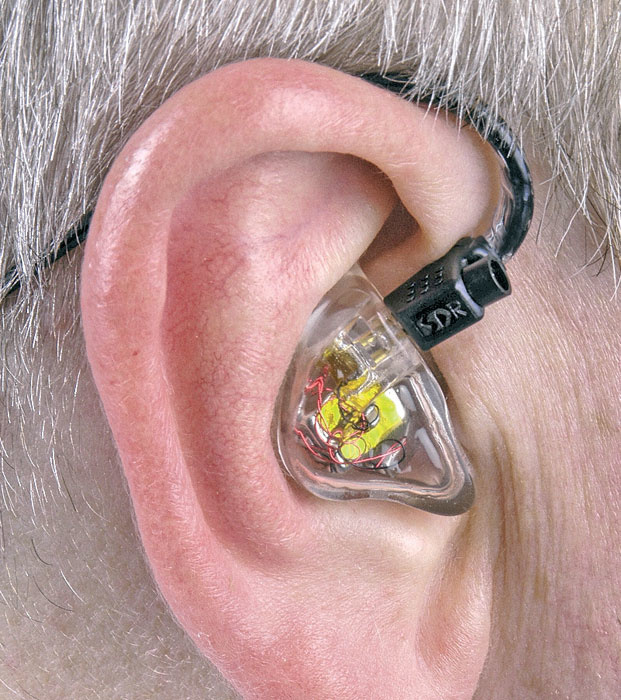 Musician ear plugs often come with in-ear monitors. Whether or not you are experiencing hearing loss, assistive listening devices (ALDs) come in handy in many different situations. ALDs are amplification systems that utilize infrared, FM waves, or electromagnetic waves to transmit sounds directly to the listener. Hearing At Home provides ALDs that are compatible with your home entertainment system, allowing you to amplify your music and media. Some ALDs connect wirelessly with hearing aids, allowing you to stream sounds directly to your ears. If you are interested in ALDs to amplify sounds, please contact us at Hearing At Home.